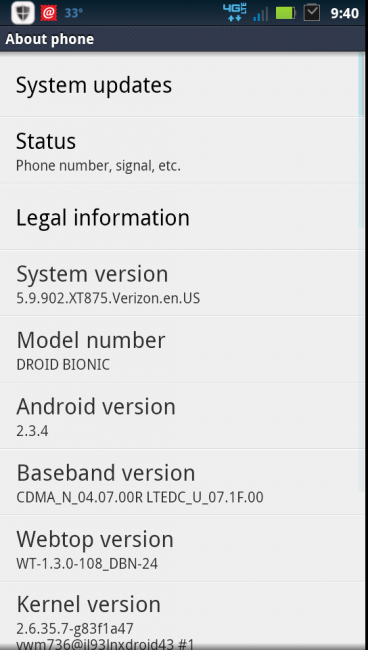 DROID Bionic owners, the latest 5.9.902 update for your device is available to be pulled. Cruise into Settings>About phone>System updates and the 57.6MB file should pop up asking to be downloaded. Once completed, your Bionic will be much more stable, have better data connectivity, and longer battery life. You can read the full changelog here. Cheers Shane, Marty, Drew and Jim!